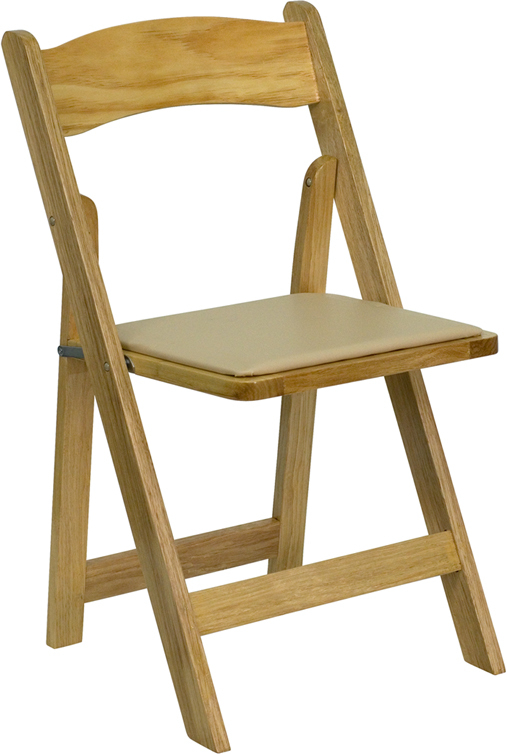 This natural light wood chair features a beige vinyl padded seat. The vinyl padded 1/2" seat is removable in case you have to replace them. Give your weddings, events, or any other occasion a "natural" look with these chairs. Seat Size 15.25" x 12.25"